Being in the know about how consumers are earning airpoints – and which providers offer airpoints dollars – helps travellers land some great credit card rewards. Consumers using credit cards to make purchases are spoilt for choice these days when it comes to earning rewards. There are the cards which allow you to earn points to put towards new appliances, or options to put your purchase points towards KiwiSaver contributions. But, for keen travellers who put at least $12,000 on the plastic and pay off their credit card in full, earning airpoints might be more attractive. It might seem like a no-brainer then for globetrotters to pick out a credit card which rewards spenders with airpoints dollars. But how do you pick a good-value rewards credit card without throwing away your travel dollars on credit card fees? As of mid-2015, there has been a significant shift in the New Zealand credit card market when it comes to how spenders are earning airpoints. As of 1 May 2015, Air New Zealand and Westpac formed a partnership for the bank’s customers to earn Airpoints Dollars on their purchases. Prior to this, Westpac credit cards did not offer any option for earning airpoints. 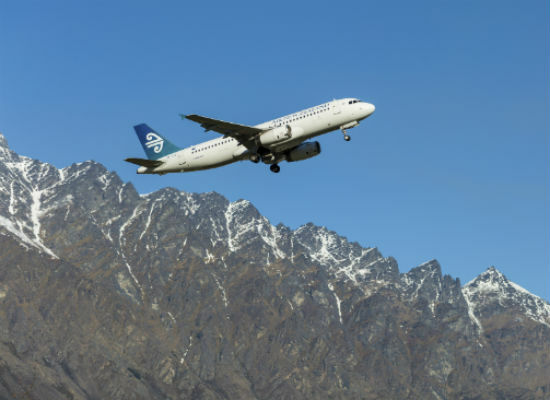 However, at around the same time, BNZ and Air New Zealand ended their partnership, with the BNZ GlobalPlus line of credit cards also being discontinued. According to Statistics New Zealand’s June 2016 figures, credit card holders made 128 million transactions during the month, across all industries, with an average value of $49. The total amount spent across all transactions was $6.3 billion. All this talk of credit card spend might have you seeing airpoints dollars in your eyes, but it’s also an important reminder to shop around for options of earning airpoints. As an example, let’s have a look at the potential ways of earning airpoints for someone spending around $12,000 a year on their credit card. We’ll also look at the annual fees for using that credit card. Comparing providers of cards earning airpoints dollars shows there is much more to take on board than just the amount of points you could earn. Earning airpoints needs to be weighed up against the annual fee for the use of the rewards credit card, as well as any fees you are charged for making the purchases on credit and any interest that you pay on your outstanding credit card balance if you don’t pay it in full each month. The temptation to earn airpoints dollars might also have you thinking it’s a great idea to charge up large on the plastic – but don’t do that at the expense of blowing the budget! 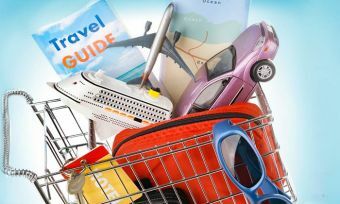 If you need a little extra assistance sticking to a budget and how to ensure you don’t overdo it on the credit card in the excitement of earning airpoints, studying up on a few budget tips and tricks is a good start. If you love flying, why not hop on board! BUT always remember to check out the costs associated with being a member of the rewards program, to make sure that it really will represent value for money. Better yet, check our latest Credit Card Rewards Star Ratings report here.